In order to transform international exhibitions into business opportunities for its members and to facilitate meetings between local and global businesses, the Dubai Chamber of Commerce and Industry hosted Gulfood Connect networking luncheon today (Wednesday) on the sidelines of the ongoing 18th edition of the Gulfood 2013 exhibition at the Dubai International Convention and Exhibition Centre. The business matching session was attended by 260 delegates who discussed various ways of strengthening mutual cooperation in the Food & Beverage industry and how to make the best use of Dubai’s strategic location as an import export and import hub in the region. H.E. Hamad Buamim, Director General, Dubai Chamber, highlighted the importance of the initiative stating that the idea behind the business matching session was to provide Dubai Chamber members in the Food & Beverage Manufacturing, the Foodstuffs Trading and the Fruits & Vegetables Trading business groups with the opportunity to share best practice, establish new business alliances across the region as well as the world over while promoting Dubai’s position as a central trading hub in the area. He informed that the food and beverages sector was witnessing a healthy growth as according to the statistics of Business Monitor International (BMI), the value of food consumption in the UAE last year reached Dhs28.2bn and is expected to rise to Dhs32.6bn this year, said Buamim. At home and abroad opportunities exist for UAE food companies as the domestic food retail market is strong and growing. Last year it increased by 8.8% to $7.3bn and we anticipate an upwards trend to 2016, when the industry will be worth $10bn with a 37% increase since 2011, said Buamim. The Director General of Dubai Chamber further stressed that the emirate is home to a number of successful home-grown food producers, who are supplying the region with quality products. More producers mean more products as expanding domestic food manufacturing will facilitate new growth in the sector, he added. Highlighting the country’s advantage in exporting food products Buamim informed that the UAE re-exports nearly 50% of imported food and given Dubai’s strategic location these products can be easily exported to the GCC and wider Middle East region, which will enhance growth further, he said. “We also see opportunities for partnerships with food growers in Africa, using Dubai as a production base, and we will be helping to facilitate this area through our new overseas representative offices across the continent with one to open soon in Addis Ababa, Ethiopia, and have countries including Egypt, Kenya and South Africa in the pipeline,” added Buamim. Dubai Chamber’s focus moving forward is to position Dubai as a gateway into and out of African and this is something which will be of benefit to the food and beverages industry, adding that the important initiative by H.H. Sheikh Mohammed Bin Rashid Al Maktoum, UAE Vice-President and Prime Minister and Ruler of Dubai, to establish Dubai as the centre of the Islamic economy, will create opportunities in the halal food industry. Dubai is an ideal hub for this and given its extensive infrastructure and distribution network could become the world’s leading supplier of quality Islamic food products and services, said Buamim. A Dubai Chamber presentation pointed out at investment opportunities existing in the food industry especially in the canned/preserved food, frozen and dried food and ready meals as the country re-exported half of its imports of food products to Gulf countries, the Middle East, Africa and Asia and the Commonwealth countries because of its strategic geographical location. The presentation further stressed that frozen processed food sales increased by 12% in 2011 to reach Dhs95m, while the dried food sales rose 10% in the same year. Current value sales of dried processed food increased by 10% in 2011 to reach Dhs1.8bn while the current value sales of canned/preserved food increased by 12% in 2011 to reach Dhs285m. In its analysis of the food and beverage industry, the presentation stated that the UAE‘s food-processing sector has been undergoing a period of noteworthy expansion to achieve self-sufficiency and is expected to develop even further in the future. Thanks to foreign direct investment and government efforts to enhance domestic food production and self-sufficiency, production facilities have emerged to spring up with increased regularity in the past few years. Demand for imports continues to be fuelled by significant demand from expatriates, it said. The meeting also had a presentation on Islamic Food by Mr. Saleh Abdullah Lootah, Managing Director, Al Islami Foods and another one on Food Security by Dr. Azhar Hassan Al Haboby, Executive Manager, Hail Agriculture. 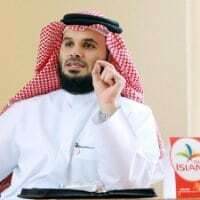 Mr. Lootah, who explained the concept of halal food, pointed out that the popularity of the halal market, whose size in value is about $500bn, is witnessing speedy growth due to the mass outreach of the teachings of Islam, growth in family size and the concept’s move from niche markets to mainstream markets. Highlighting the challenges faced by the halal food sector, Mr. Lootah pointed at the lack of awareness about the product and minimal investment in innovation and research and development, lack of options provided to the consumers as well as the competition between global and local brands. He stated that major brands have to market the product rightly to the niche market. On his part, Dr. Azhr pointed out that agriculture’s contribution to the UAE‘s GDP is only 1% due to the wide gap between the available water resources and increasing demand, adding that the fertile agricultural land accounts for only 1% of the total land. He suggested a number of measures to improve food security in the country, which he said includes the promotion of research and development, development of agricultural policy, need to enhance local and overseas investments, optimum use of water and agricultural land, private sector investment locally and abroad and liaison between local investors and Government bodies in identifying priority projects. The current 18th edition of the Gulfood exhibition, which sees participation of 4,200 exhibitors and 65,000 visitors from 110 countries, will enlighten the participants with the latest updates and innovations in food production and processing worldwide.